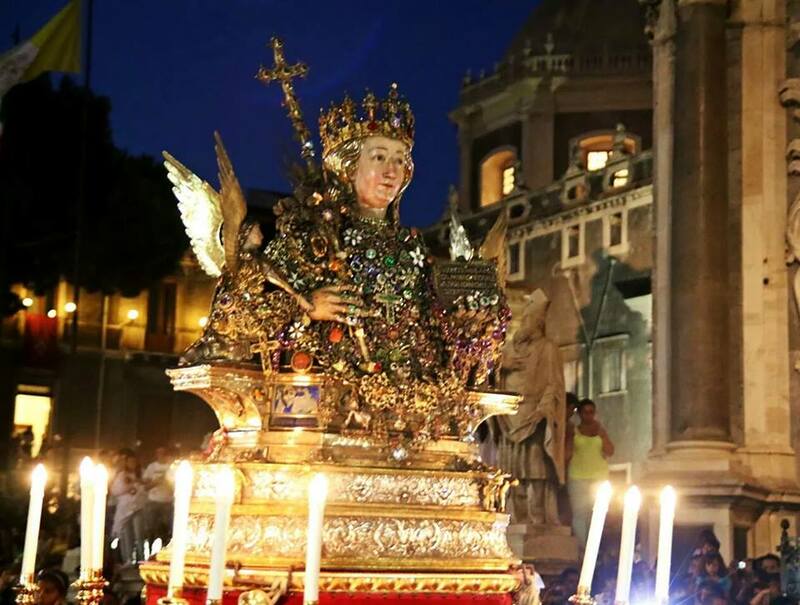 Did you not have time to reach Catania to attend the third most important religiouos feast of the world?Do not worry because on the morning of the 12th February, Saint Agatha returns among the people, to embrace them once again before the long break that anticipates the summer meeting on the 17th August. 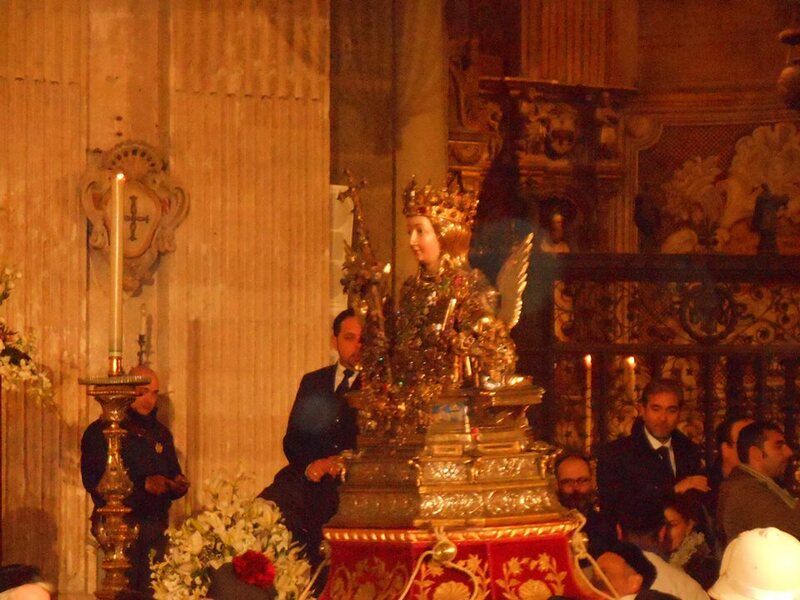 The Holy Relics leave the “cammaredda” (the little chapel) and are placed on the altar at around 7.30 am. Than,go to the cathedral just 30 minutes earlier will allow you to get a suitable place to follow the first mass of the day. On the right aisle of the church you will have the opportunity to see the relics: the thighbone,the hand,a foot, the breast and the veil. So you will see citizens,devotees and tourists from all over the world in a silent and devoted queue, waiting for their moment for a last contact with the “Santuzza”. At 7.00 pm relics are placed into the treasure chest and the bishop celebrate the last mass of the day.Now the religious procession starts from Via Vittorio Emanuele: from here devotees wearing the typical white “sacco” , carry on their shoulders the reliquary bust and the treasure chest. If you see this feast for the first time we suggest you to wait close to the town hall “Palazzo degli Elefanti”: it is a good places to see also the famous fireworks.